Anna Reed was born in London. She moved to Bedfordshire during her childhood and it was at this time she realised a passion for drawing and painting. Anna is self-taught and driven by her admiration of nature and its elegance. She uses precise and deliberate strokes to produce representational pieces of work. 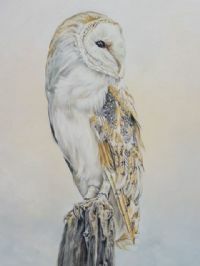 Anna is best known for her bright but calming, accurate and detailed paintings of wildlife & natural surroundings.